This is the first floor of the illustration building at my school. I have made many fond memories here, and I know that I'll miss it a lot once I graduate. (What I will NOT miss is having to walk through a gauntlet of homeless people to get there.) 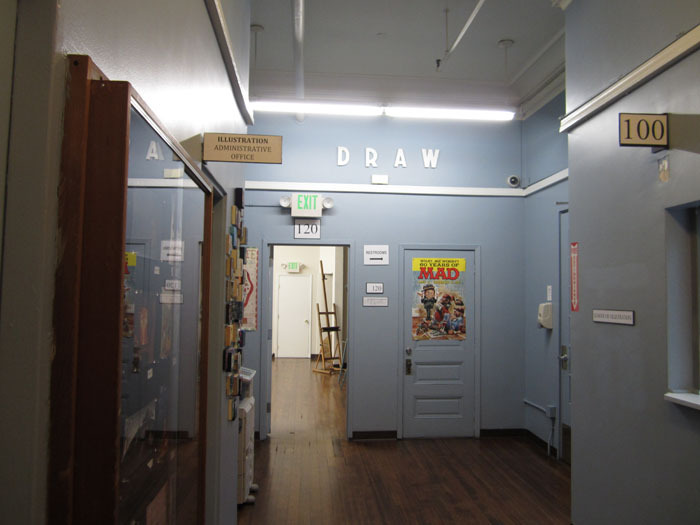 If I ever have my own studio someday, I'd like to hang "DRAW" in big letters on the wall, just like in this picture.